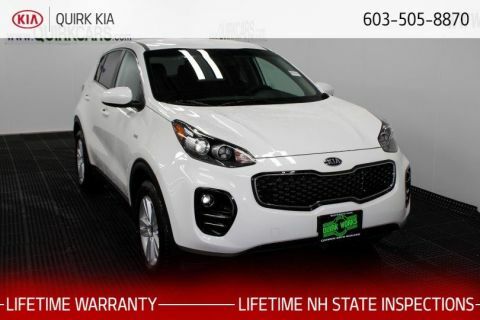 Scores 25 Highway MPG and 21 City MPG! 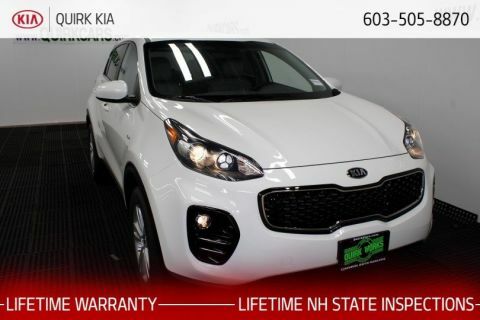 This Kia Sportage delivers a Regular Unleaded I-4 2.4 L/144 engine powering this Automatic transmission. PACIFIC BLUE, OPTION GROUP 010 -inc: standard equipment, GRAY, UPGRADED CLOTH SEAT TRIM -inc: YES Essentials -inc: YES Essentials. 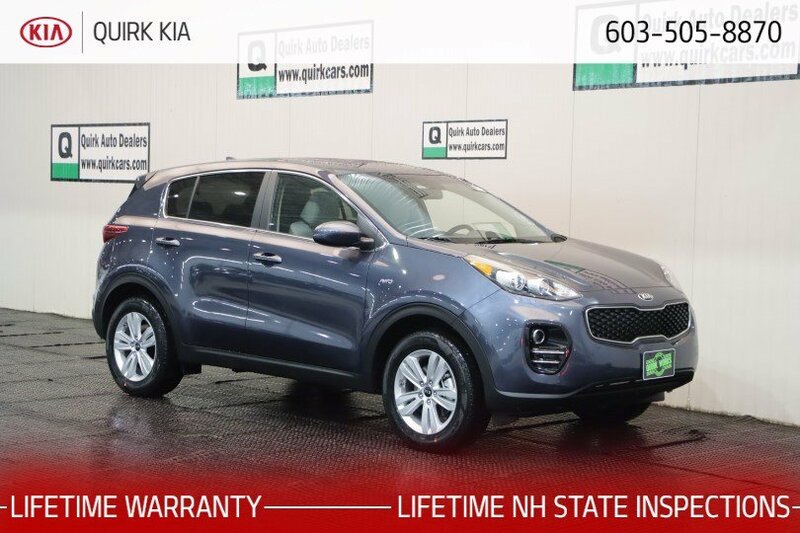 * This Kia Sportage Features the Following Options *GRAY, CLOTH SEAT TRIM -inc: YES Essentials, CARPET FLOOR MATS, Wheels: 17 Alloy, Wheels w/Silver Accents, Vinyl Door Trim Insert, Variable intermittent wipers, Urethane Gear Shift Knob, Trip computer, Transmission: Electronic 6-Speed Automatic w/OD -inc: sportmatic shifting,, Transmission w/Driver Selectable Mode. 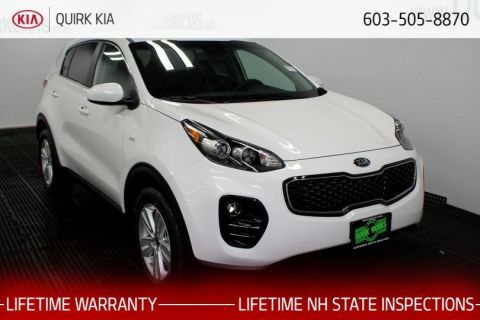 * Visit Us Today *Come in for a quick visit at Quirk Kia NH, 1300 South Porter Street, Manchester, NH 03103 to claim your Kia Sportage!